Shopex TV, and new teleshopping service for Nigeria, is to launch on December 1. The channel, operated by local outfit Response Architects and founded by Nigerian entrepreneur Isi Abebe with investment form London-based Expert Media Partners, will market a range of lifestyle, fitness and kitchen products from multiple retailers using TV as is main sales channel. Viewers will also be able to place orders via mobile phone. 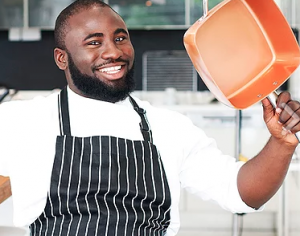 The channel will kick off on December 1 with an informercial promoting anchor product the Copper Chef pan, with a TV campaign run on DStv, EbonyLife, TVC and Sliverbird TV.